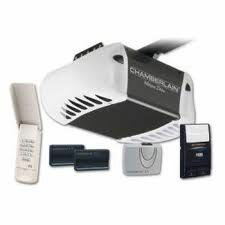 Over the years, customers have asked us for all sorts of things regarding electric garage doors and their various parts. While our technicians are always available to help, we also decided to create this online FAQ section to help all users of overhead doors to get easily and quickly to the information which they require. Why should I get zinc plated rollers? Garage door rollers made of zinc plated or stainless steel materials last longer because they don't corrode and they're extremely strong. Thus, they can actually last for approximately 30 years according to our experts in Hacienda Heights and they can carry very heavy garage doors. Make sure to add ball bearings for quiet and smooth rolling. What kind of wood garage door choices are there? In regard to their style and type there are swing hang or carriage and overhead door panels. Wood can actually dress any door but you can also choose steel doors, which look like wood. These ones have a thin layer of wood, they're cheaper and last longer. For ecological reasons you can choose composite lumber, too. What is the best way to clean my wooden garage door? Our experts from Garage Door Repair Hacienda Heights have found that you can clean your wood garage door with a variety of different tools. For instance, a solution of water and mild detergent can clean out dirt, and a finish coating can be used to maintain the overall finish of the door. Should I install a garage door lock or keyless entry pad? Our experts explain that the entry pad will eliminate the need for manual locking of the door. You will use an access code, which is considered to be more secure than a key. On the other hand, the entry pad is more prone to wear and tear and damage and can be costlier to replace. The most common cause of this problem is broken lifting cable, according to the experts of garage door repair company in Hacienda Heights. The system must not be operated for safety reasons. Immediate replacement of the broken component is required. In systems with extension springs, the issue may be due to worn-out cable pulleys which have to be replaced timely. What is a direct drive opener? 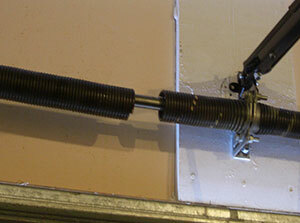 This is the newest type of opener for garage doors. It has a rail with a stationary chain. The motor unit travels back and forth along the chain to open and close the door via a moving arm. It is considered to be the quietest of all electric operators as it has just one moving component, which is the motor unit.